Oasis' Noel Gallagher says the band's forthcoming album, Dig Out Your Soul, is a fresh, less mainstream effort than their previous records. "It's not Britpop, let's put it that way," says Gallagher. "It's not our usual thing. It's just really exciting. Three of the tracks have got two drummers on, me and Zak [Starkey] playing drums. Some of it sounds a bit glam. There's no pop singles on it. I'd be amazed if anything else gets on the radio past the first single." 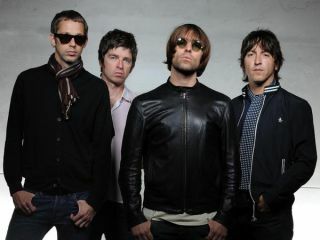 Gallagher says that the Oasis album is heavily influenced by the works of The Doors, The Stooges, and, not surprisingly, John Lennon. "There's a kind of piano-y, John Lennon-y obligatory plod-away song in the middle, which Liam wrote," he said, "and that's to break up the two sides which are pretty intense, and it's full-on from the start to finish." Dig Out Your Soul is released on October 6. The album's first single, The Shock Of The Lightning, will be issued on September 29. And check this out: You can order a special, fully-loaded limited edition box set of Dig Out Your Soul now. The collection contains four heavyweight 12" vinyl discs, two CDs, a DVD and hardback book all housed within an embossed hardback box. There's even nine bonus songs, remixes, studio footage - the whole deal. We'd call it a collector's edition, and you can pre-order it, for worldwide delivery, on Oct 6 at this link. Having already heard the album, MusicRadar can honestly say, if you've got the bucks, go for it.